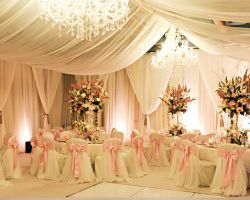 Hiring a wedding planner in Mesa, AZ can enhance your big day in ways you never thought possible. The goal and complete focus of the professional consultants at Stellar Planning is to make your wedding vision and dreams become a reality. After this company has spoken to the couple, they develop a plan of action to best execute the big day with as little stress to the couple as possible. Enjoy having this team behind you to create a beautiful day. Whether you are planning a local or a destination wedding, staying on budget and on style is always a big concern. Apropos Creations has a reputation for creating some of the most beautiful weddings with all of this in mind. They can plan traditional multi-cultural events, focusing on all of the details to make the bigger picture come to life. When you call the team, you can set up a meeting and get started planning the biggest day of your lives together. Many couples hire a planning company to ensure the success of their event, to be treated like a celebrity and to eliminate any stress. Amy Mancuso Events specializes in creating lavish weddings. Whether you have a theme in mind or would like this certified planning team to take the driver’s seat, you are guaranteed to have a beautiful and unforgettable wedding day. They will ensure every detail on your checklist has been taken care of in order to make your event the very best it can be. Beautiful weddings are held throughout the year at Villa Tuscana because the venue is romantic and beautiful and the services of the planners are unbeatable. This venue has some of the best Mesa wedding planners to assist in planning personalized events. From the intimate ceremony to the fun-filled party, the coordinators will make your dream wedding come to life with as little stress to you as possible. You will truly be able to enjoy your wedding with these planners working behind the scenes to make everything perfect. 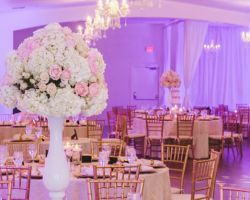 TreBella is unique in that it is not only one of Arizona’s premier wedding and event venues but it is also where you can find the most experienced planners and consultants as well. The team at this venue knows the spaces and the services like no one else and thus know how to create a one-of-a-kind event that you will love. When you hire this team, you will also have access to their immense knowledge of local vendors and their prices. There is more to planning an event than simply choosing the right vendors. It takes having meetings with vendors, discussing the details, making large and small decisions, and acting as the organizer on the big day. If this all sounds like more stress than you need, then hiring one of the top local planning companies is a must. Meant 2 Be Events can take your wedding vision and deal with the vendors before and on the big day so you can relax and enjoy your celebration as a newly married couple. 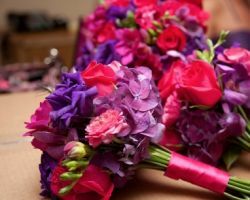 Blume Events LLC has over ten years of experience in event planning and floral design for weddings and special occasions alike. The owner, Kristen, and her team works tirelessly to create an event that matches the style of the couple in design and in the aspects of the day. 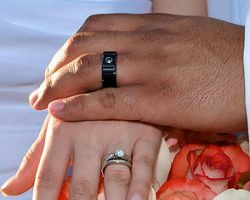 From the very beginning, the team works closely with the couple to get to know them on a personal level to better help the flow of the event, find vendors and more.